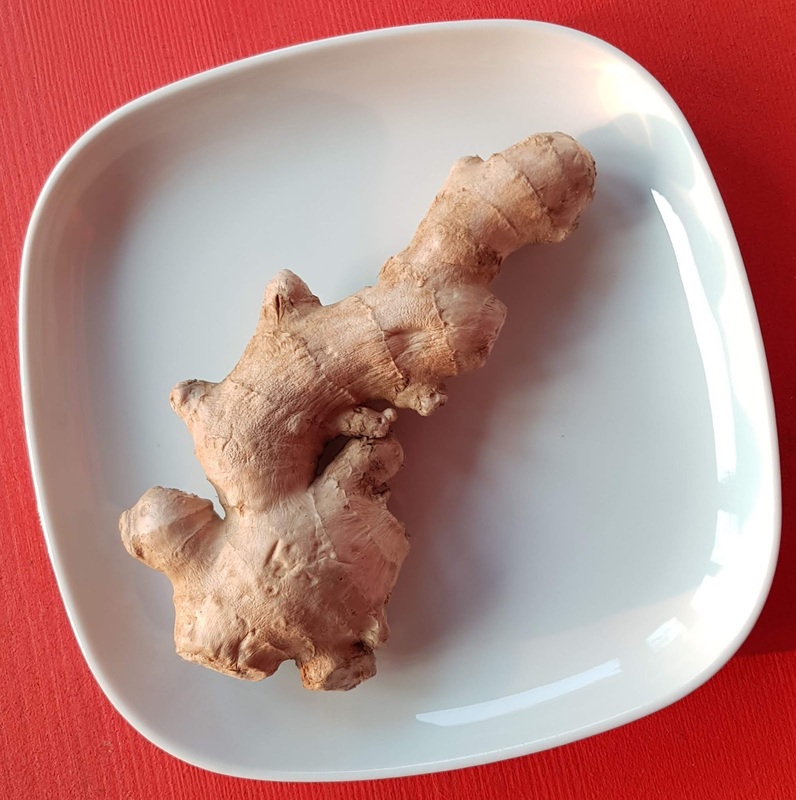 Many of you already know about the benefits of ginger, a powerful root that has been used for centuries in China. It is also very good for people who regularly exercise because it reduces muscle pain. On top, it helps lowering blood sugars - making it a great anti-diabetic - and cholesterol, it is one of the oldest pain reliefs and it helps burning fats too! According to some studies ginger protects the brain from Alzheimer and the body from infections. For the best Piedmont terroir use: short grain rice varieties like Arborio and Carnaroli and get Piedmont white wine such as Gavi, Erbaluce di Caluso or Arneis. 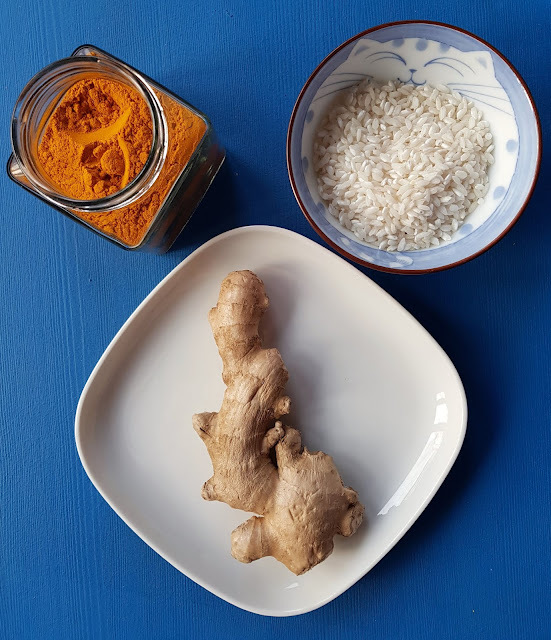 Portion the rice, prepare the stock and peel and hand chop the fresh ginger root. When the stock is ready, melt the butter, sauté the rice and the chopped ginger together. As the rice grains turn transparent, pour in half glass of white wine and let it get absorbed. Then, cover the rice with half the stock, saving the other half to slowly add it, as the risotto absorbs it. Lower the heat and let it slowly cook, uncovered, in the stock. Add the turmeric with a dash of pepper for a golden color and extra nutritional benefits (optional). Stir your risotto every 5 minutes. Risotto will take about 12 minutes to absorb the stock. when you see the stock has almost all been absorbed, add the remaining half glass of white wine. Stir to allow the risotto to thoroughly cook. 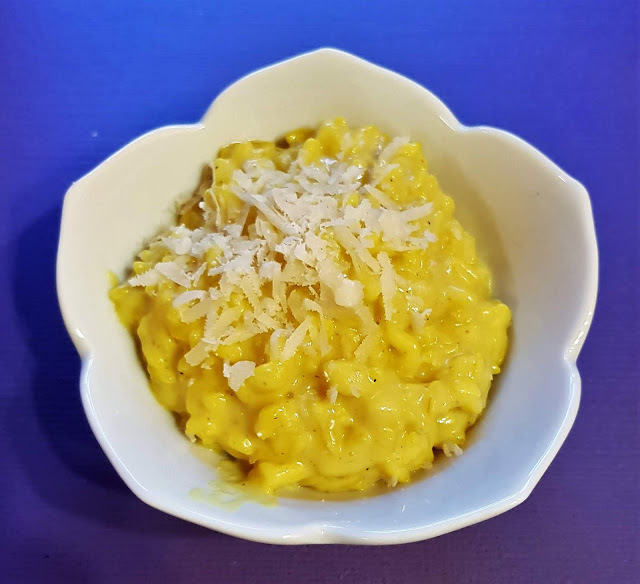 Risotto is NOT supposed to be runny like a soup, so when you see that the stock has been absorbed by the rice grains, it is ready to be set aside to rest for 5 minutes. Before serving, fold in the heavy cream and the amount of grated parmesan cheese your prefer. Both heavy cream and parmesan cheese are optional and can be sub with vegan options. Remember that Turin is a very romantic destination all year long, we always have luscious chocolate and many amazing wines to enhance your visit with. Plan your visit ahead and include one of our experiential tours, tastings, cooking classes and even mindfulness sessions!